Transekur is a professional service company which provides transportation and airport car services. This includes transfers to and from all national and international airports in the Dominican Republic. Transportation, including airport car service Punta Cana is provided in style, comfort, and class from Transekur. Clients receive transportation accommodation to any of these airports in the Dominican Republic: La Romana, Santo Domingo, Punta Cana, Puerto Plata, Samana, and Santiago. Our drivers are not only welcoming, courteous, and supportive of your needs, but they are trained to offer the best airport car service in the Dominican Republic to every one of our customers. These drivers ensure that people arrive to their destinations on time in Transekur’s well-maintained fleet of luxurious vehicles. This type of vehicle has state-of-the-art technology, functionality, and sophistication all in one very sleek package while providing powerful performance. The interior has a number of custom-made design finishes. These range from the full Turin leather steering wheel to the full Mulan leather Kona Brown seats. It has lights that provide great visibility when travelling at night. The LED high-beam technology integration strengthens the Escalade’s lighting system. Certainly passengers can look forward to their trip to the Dominican Republic while riding inside this solid model. 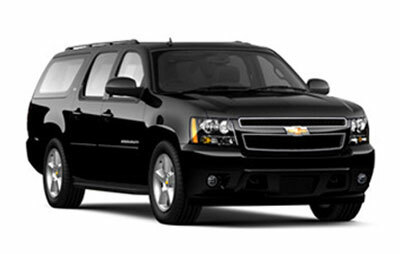 There are several types of the Chevrolet Suburban, including the LS, LT, and LTZ. Suburbans are commonly known to be the best selling and most loved types of family full-size SUVs. Some of its brand new features include forward collision alert and IntelliBeam headlamps so you and your family can feel safe while driving in style. Whether you chose airport car service Punta Cana or car service for a different city in the Dominican Republic, your safety and well-being are a priority for Transekur. This vehicle is also part of the SUV family and its features are similar to that of the Suburban. It is now equipped with Apple CarPlay and Android Auto Capability features. Inside the 2016 Chevrolet Tahoe model, the center console has a great amount of space. You can also utilize the lockable space which helps to protect your personal items. Comfortable amounts of space as well as security are top priorities for Transekur. 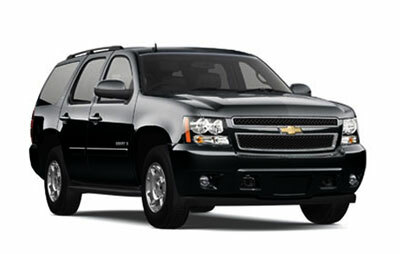 Book airport car service Punta Cana for security, safety and luxury. The Ford Escape was designed to be a compact crossover vehicle. All Ford Escapes are equipped with standard equipment including air conditioning, power windows, power door locks, an anti-lock braking system (ABS), a folding rear bench seat, and 16-inch wheels. It is a safe and reliable vehicle for your airport car service Punta Cana . Travelling in these luxurious vehicles will definitely keep your mind at ease while you travel throughout the Dominican Republic. Our fleets are very comfortable and enjoyable to drive in, creating a welcoming atmosphere. Above all, our trained drivers will make sure that everyone arrives on time and safely. Transekur drivers take great responsibility for clients booking airport car service in Punta Cana and in the rest of the Dominican Republic. Drivers are knowledgeable about the safest and most efficient routes around the island. You won’t have to double check the driver’s route with your GPS. Your only job is to sit back and relax. Wherever your destination may be, all passengers are sure to experience the ultimate VIP treatment. Everything inside these vehicles provides the best possible experience. Just picture it: leather seats, ample space, and cool refreshments are waiting for you. All the vehicles are smooth road runners, which ensure that you have the smoothest ride possible. With a feeling like this, travelling in a luxury vehicle from or to a Dominican Republic airport or hotel could not be better. Most importantly, the Punta Cunta International Airport is one of the most renowned airports, approximately 106 miles from Santo Domingo. With more than 6.3 million passengers travelling through the terminals, Punta Cana International Airport serves 96 cities in about 28 countries. It’s easy to get lost in the crowd, but Transekur is here to assist you. Book airport car service Punta Cana with Transekur so you can receive personalized service and feel stress-free and relaxed on your trip. Use our contact form to ask any questions about our services. Be sure to plan every airport transfer car service with the staff at Transekur. Come and see for yourself – enjoy the comforts of travelling in any of the performance-inspired, sleek, versatile, and stylish vehicles offered. We cater to every one of your needs and present a high class service at a very affordable price. Receive a true paradise experience during your stay in the Dominican Republic! 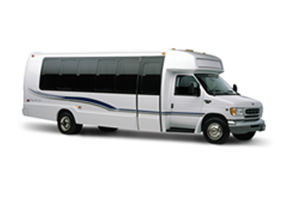 All of the vehicles are owned and operated by Transekūr, and driven by our professional, bilingual trained drivers. The fact that all of our vehicles are owned by our company ensures you will be transported in a vehicle that has passed rigorous tests, with routine daily maintenance and interior/exterior cleaning and detailing. GPS tracking in real time. First aid kit with basic content.